Strategic Sourcing Tejari: Managing your Purchasing Activities – Is eTendering the Answer? Managing your Purchasing Activities – Is eTendering the Answer? At times being part of a large organization with a smaller procurement department often results in buyers taking on multiple tasks with very little manpower and very little time to complete them. If we think of these tasks as a shopping list, how do we usually tackle our shopping when going to the store? Personally, whenever I have long shopping list to attend to, the most efficient and time effective way of working my way through it would be to go to a store where I can find the most amount of things on my list; or even better, to stay in the luxury of my home and opt for the online shopping route! Well that was a brilliant and sophisticated strategy… So I “log on” and make all the necessary purchases, close the deal and the ordered items are delivered to my doorstep within no time. Now let’s take the same concept and apply it to our never ending to do list around the office. 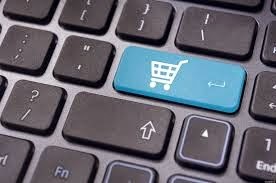 If we take our purchasing activities online (eTendering) rather than the manual laborious task of chasing the suppliers, managing communication and consolidating supplier responses, we find that it eliminates the need for an extra resource as the system is designed specifically for the tasks you are fulfilling therefore speeding up the entire process. By implementing an eTendering platform you not only rapidly increase your chances of achieving procurement targets with an impressive lead time, but you also achieve better savings by tactically using the negotiation strategies available to you. This is all well and good, however, there is a key element that if not taken into consideration could jeopardize that perfect eTendering process and possibly result in the re-doing of most if not all of your tendering activities. So you've began purchasing your “shopping list” items online from undefined providers, and your items are delivered but the purchased items have a deficiency or are not of the quality you would expect or even worse in one instance the goods are not delivered at all! A simple yet key part in this tendering process that could have prevented this is to have implemented a “Screening Process” or as procurement professionals would refer to it as, a Vendor Pre-Qualification Process. In this magical step, the purpose is to filter out the vendors that best meet your initial requirements ensuring that you are tendering to the correct, qualified set of Vendors. You may add to this process by issuing a Pre-Qualification Questionnaire to your business’ vast vendor database and then begin the evaluation of the received responses to shortlist vendors that have responded to your set criteria. Taking this crucial step, will not only reduce the risk of buying low quality products but also reduce the time taken for purchasing. You would have accumulated a list of go-to suppliers, knowing their credentials and whether they are qualified enough to be your supplier. Has eTendering transformed your procurement process? We’d love to hear from you.